If you have a number of courses across different subjects, you might like to group your courses according to categories. This is done inside the course itself. 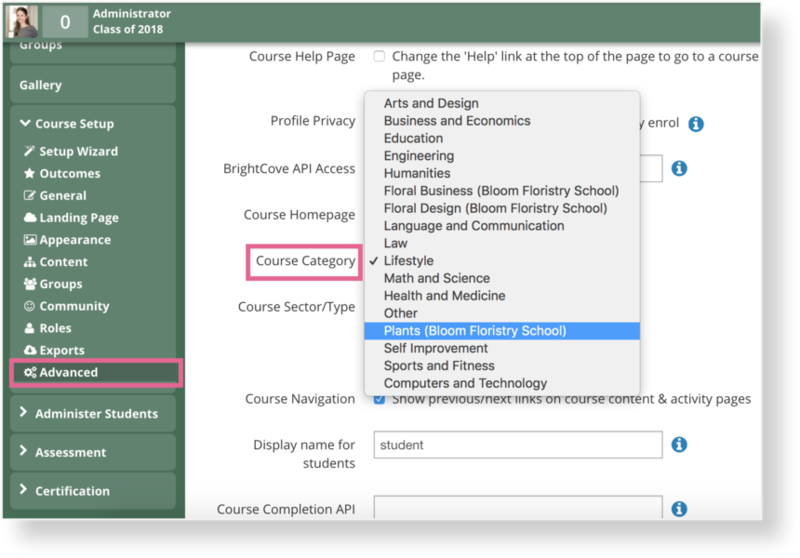 Now your courses should display under the relevant course categories on the portal. Note: Your courses will display once they are turned online in Course Setup > General.